The 5th Earl of Carnarvon, George Edward Stanhope Molyneux Herbert, (1866-1923), British Egyptologist, was born near Newbury, Berkshire, in the South of England. He was educated at Eton College and then studied at the University of Cambridge. He traveled widely as a young man, and in 1903 he went to Egypt for the first time. The Earl of Carnarvon first dabbled in archaeology as a small boy, digging in the park at Highclere Castle, his ancestral home, an area so rich in evidence of early man that interesting finds are still regularly made there. Sent to Egypt to recover after a serious motor accident, he found a new fascination in the relics of the past and funded and participated in excavations from 1907, when he was 41. From 1907 Lord Carnarvon sponsored British archaeologist Howard Carter, During 1907-1911 they had success, digging outside the Valley of the Kings in the ancient Theban city of the dead. They found a series of rich private burials and the valley of the temple of Queen Hatshepsut at Deir el-Bahri. The 1912/3 season brought real treasure with the discovery of a hoard of silver jewellery from the end of the Pharoahs' rule (the Ptolemaic period, 304-30 BC) at Tell el-Balamun. A year later, the expedition found its first royal tomb, the burial of Amenophis I (1514-9l3 BC), ancestor of Tutankhamun, and his mother Ahmose-Nofretiri. They gave an account of their findings in Five Years' Exploration at Thebes (1912). In 1915, Lord Carnarvon and Howard Carter led their workmen into the greatest archaeological hunting ground of Egypt: the Valley of the Kings at Luxor, a 40 acre site where Carter had already worked several years before on some of the New Kingdom tombs. When they began, the Valley was generally thought to have been so thoroughly excavated there was nothing left to be discovered. The tomb of Tutankhamun's grandfather Amenophis III (1390 - 53 BC) had stood open since 1799, but the Carnarvon expedition returned there, finding various funerary objects, figures and jewellry made for both the Pharaoh and his beloved wife Queen Tiye. While digging in the Valley of the Kings, on 4 Nov 1922, they discovered the first step leading down to the tomb of boy-Pharaoh Tutankhamun (1332-1223 BC) of the 18th Dynasty. By 26 Nov 1922, a peephole had been made into the burial chamber. When the 5th Earl of Carnarvon first looked into the tomb of Tutankhamun on and saw the glint of gold he had reached the end of a long search. On 17 Feb 1923, the tomb was opened, which contained a magnificent collection of Egyptian art, as well as the mummy of the boy king. Imagine the impression this previously unknown tomb, piled to the ceilings with treasures, must have made after the long years of sporadic finds and disappointment. Other tombs had generally been plundered both in ancient times and by the 19th century archaeologists less professional than Carter. Here was an almost intact royal burial dating from one of the most sophisticated periods of Egyptian history. Its discovery has bestowed upon the names of Carnarvon and Carter near legendary status even today, more than 60 years later. Two months later, Carnarvon died in Cairo in 5 Apr 1923. Bitten by a mosquito only 4 months after finding the entrance to the Tutankhamun tomb, blood poisoning set in, and Lord Carnarvon died without having set his eyes on the ancient King with whom his name will always be linked. The great collection of treasures, are now on display in the Egyptian Museum in Cairo. The treasures of Tutankhamun were exhibited during 1972 at the British Museum in London and from 1976 to 1979 a similar exhibition was shown at six museums in the United States. Science Quotes by (5th) Earl of Carnarvon. 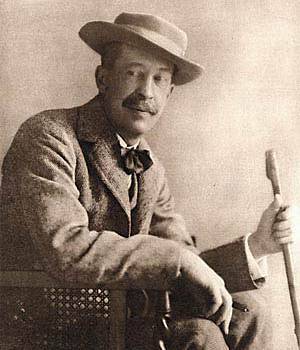 26 Jun - short biography, births, deaths and events on date of Carnarvon's birth. Anthony's Egyptology - one of the earliest such sites, now closed, but still archived. The Tomb of Tut.Ankh.Amen, by Howard Carter. - book suggestion.